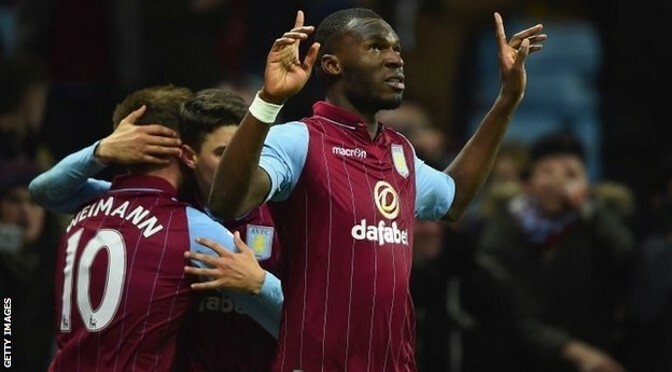 Reinvigorated striker Brown Ideye inspired West Brom to a 4-0 FA Cup romp against West Ham as the Baggies reached the quarterfinals in style. 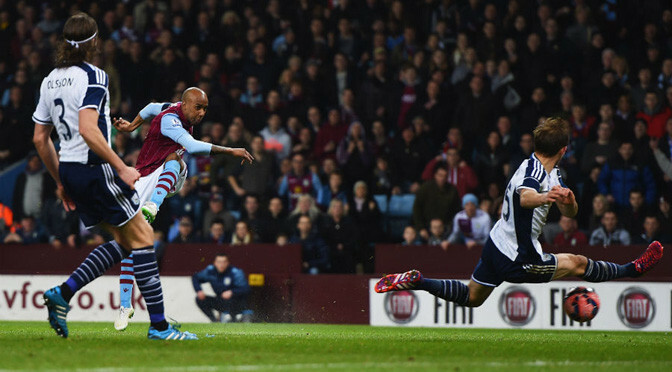 The striker bagged two as he continued his remarkable return to form under head coach Tony Pulis. James Morrison and Saido Berahino also scored while former Albion loanee Morgan Amalfitano was sent off for the Hammers just 10 minutes after coming on. Ideye, a 10 million pound record buy, was set to leave the Baggies on deadline day for Qatari club Al Gharafa but stayed because they failed to land Carlton Cole from the Hammers. Cole stayed at Upton Park after their move for Tottenham’s Emmanuel Adebayor broke down and since then Ideye has scored four goals in three games. Ideye and Berahino started as their blossoming partnership continued while Craig Gardner replaced the cup-tied Darren Fletcher and Stephane Sessegnon came in for Callum McManaman. Kevin Nolan and Mark Noble returned for the Hammers with ex-Baggies target Cole on the bench. After an even opening Ryan Cresswell fired a free-kick over but the Baggies took control and deservedly opened the scoring on 20 minutes. Craig Dawson won Gardner’s crossfield ball ahead of Cresswell to break down the right and, with Ideye free in the centre, found the striker who converted from five yards. The Nigeria international has admitted he feels reborn under Pulis and he had the Hammers in trouble again soon after, going down under Nolan’s challenge in the area with replays suggesting it was a penalty. Albion were dominant and Sessegnon blazed over but Gardner almost scored in spectacular style eight minutes before the break. 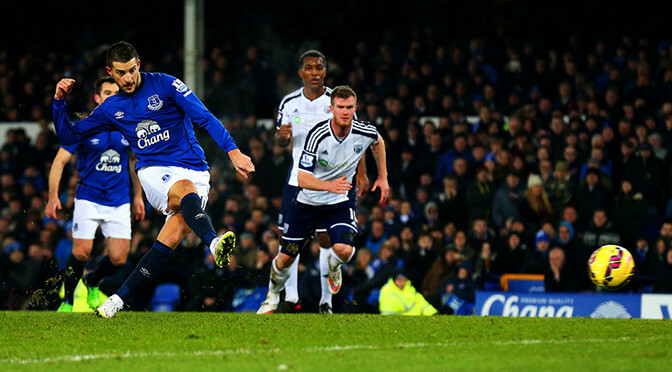 The midfielder collected the ball 35 yards from goal and unleashed a fierce drive which crashed off Adrian’s bar. 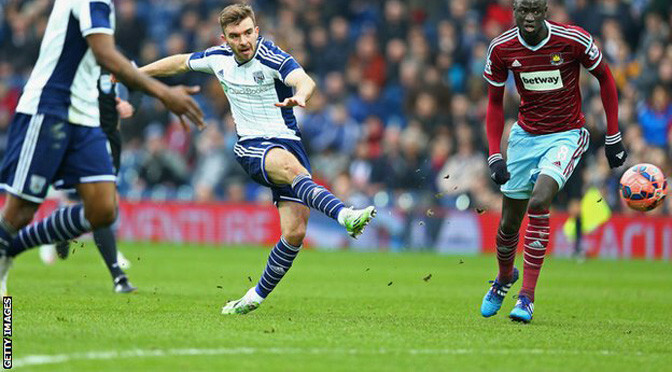 Gareth McAuley lashed the rebound over but the Baggies did not have long to wait before doubling their lead. They had been on top since scoring and grabbed a deserved second when Morrison rode Noble’s challenge and lashed into the corner from 25 yards. 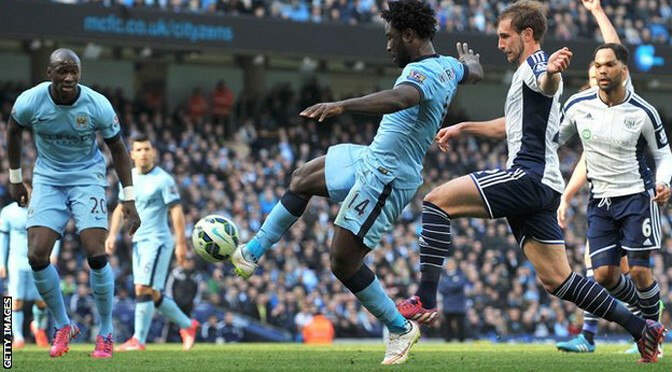 A third then arrived on 57 minutes from Ideye when he nodded in Sessegnon’s cross from six yards. The Hammers had offered little but Ben Foster had to save well from Diafra Sakho’s header, with McAuley then clearing off the line on 65 minutes. But West Ham imploded with 20 minutes left when Amalfitano – who was on loan at West Brom last season – was sent off just 10 minutes after replacing Nolan. He was initially booked for a foul on Chris Brunt but reacted by pushing the midfielder in the face to receive a straight red. Then, barely two minutes later, Berahino rifled in from a tight angle to spark a mass exodus of the travelling West Ham fans. They had jeered Sam Allardyce’s substitutions and also briefly abused the manager in the second half. 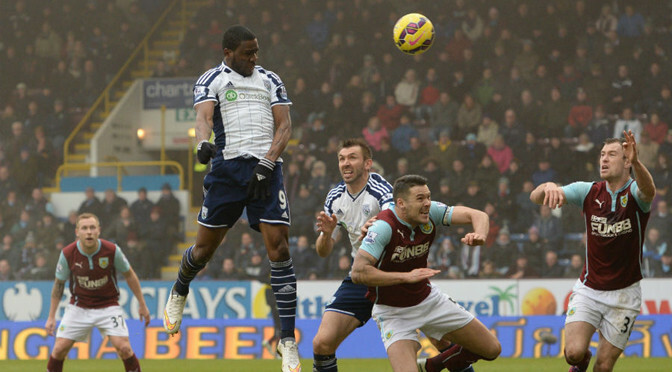 Adrian then saved well from Ideye’s flick late on to deny the striker as the Baggies cruised through. 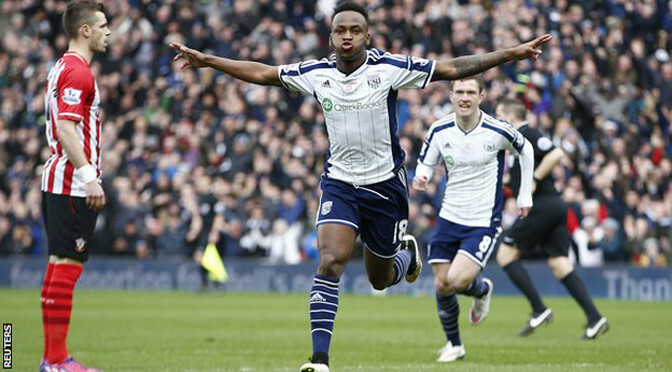 Victor Anichebe scored twice as West Brom survived Birmingham’s attempted fightback to win the Midlands derby and reach the FA Cup fifth round. Anichebe struck in the 25th and 35th minutes, both from passes from Saido Berahino, to hand the Premier League side a seemingly comfortable lead. Jonathan Grounds pulled a goal back in first-half stoppage time to give the Championship side hope of an upset. 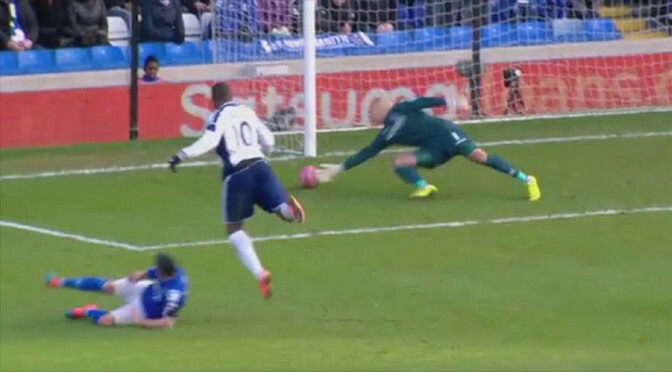 But City failed to level as their former keeper Ben Foster denied them. West Brom boss Tony Pulis secured a first away success since he replaced Alan Irvine earlier this month, but his side had to show great resilience to claim victory. Gary Rowett’s Birmingham team went close to forcing a replay in a late spell of pressure in which Foster, who replaced the injured Boaz Myhill on 62 minutes, twice denied substitute Demarai Gray. Pulis made three changes from the side that drew 0-0 at Everton last time out, keeping together the attacking pair of Anichebe and Saido Berahino. Berahino played in a more central role and it was his pass to Anichebe that allowed the ex-Everton striker to shoot low past Darren Radolph and in off a post on 25 minutes. Ten minutes later Anichebe turned former West Brom defender Paul Robinson and beat Randolph with the aid of a deflection. City pulled a goal back when left-back Grounds swept in a low cross from new loan signing Lloyd Dyer. Birmingham dominated the second half as they went in search of an equaliser. Rowett brought on Gray and striker Nikola Zigic and twice in the last 15 minutes, Gray, 18, almost scored, forcing Foster, who came on when Myhill suffered an injury to a finger, into fine saves. 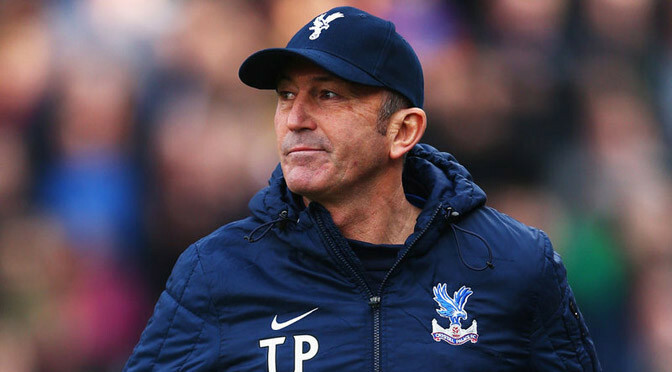 Tony Pulis is set to be appointed as West Brom head coach to succeed the sacked Alan Irvine. The 56-year-old former Stoke and Crystal Palace manager is likely to be confirmed in the position on Thursday. It is hoped he will be in the stands at Upton Park for West Brom’s New Year’s Day Premier League visit to West Ham. There are still some details to be decided, but the deal to make Pulis the club’s fourth head coach in a year is expected to proceed without a problem. West Brom will retain their continental structure – in which the head coach works to technical director Terry Burton and sporting director Richard Garlick, who in turn report to chairman Jeremy Peace. But Pulis has been assured he will have full control of all first-team matters, including the buying and selling of players. The Welshman will meet with Peace for the first time on Thursday, and will bring Dave Kemp with him as his assistant, but decisions are still to be made on the rest of the coaching staff. 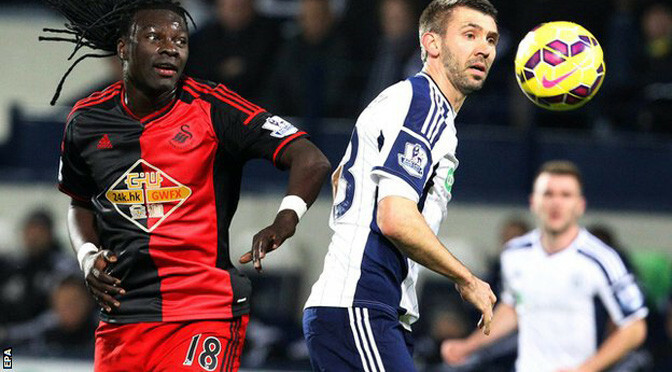 Albion are 16th in the Premier League, a point above the relegation zone, following Sunday’s 2-0 defeat at Stoke. Irvine was placed on gardening leave on Tuesday after winning just four of his 19 league games in charge.